Lots of you have asked us whether we’re still running LAN parties. 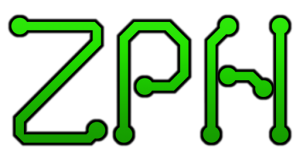 We’re delighted to announce that in 2019, ZPH LANs are BACK, with both private and public events coming your way! We haven’t held an event for over 3 years now, since we decided to go looking for a bigger, better, cheaper venue. Spoiler: we couldn’t find one. Venue hire in the south is incredibly expensive! We’re still keen as ever to run LAN events, and several of us now work at an office that has a good space for running LAN parties, so we’re going to run some small single-day events there. These will be free and invite-only, for past attendees we know well and trust — we don’t want to get fired or have to stop doing events because of anyone’s behaviour. If you’re a past attendee and you’re interested, drop by our Discord and convince us. What about the big events? Well, once we’ve got back into the swing of running LANs, we’ll re-book St. Mary’s and resume running public events there, with a ~£10 bump in ticket price so that we can cover the increased venue hire, internet and insurance costs. We’re all really excited to be running events again, and we hope you’ll come back to join us! Keep an eye on our Discord / Facebook / Twitter / website for further updates.